Clastek has been offering quality injection moulding capabilities since 2008 and has earned a solid reputation for quality workmanship, reliability, and on-time performance. Clastek’s injection moulding uses the industry standard production process for its manufacture, which is an excellent yardstick and hence is one of the most preferred companies for large-scale production. 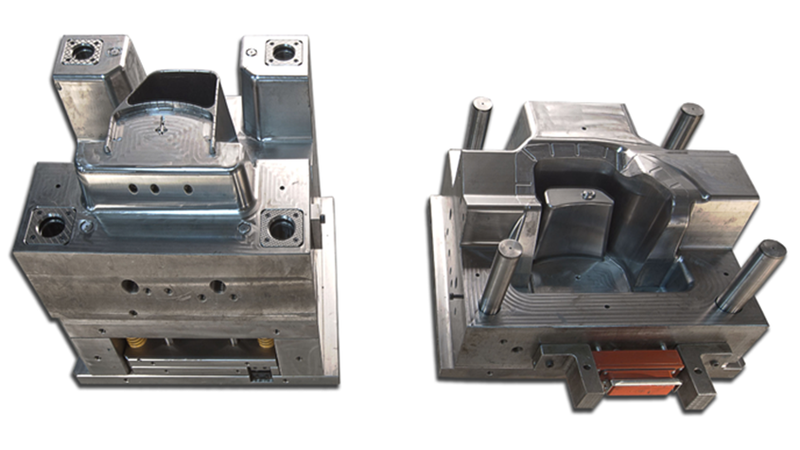 Every mould is made by our professional technical team according to the international standard of production. Checking each working procedure, and perfecting every detail, the quality and technical team leaves no stones unturned to ensure that the end-product is to the promised level. All components have to go through strict quality control procedures. Our stringent quality standards ensure your total satisfaction with every job. They also have a very good knowledge of injection moulding technology, attributes of different plastic resins, and the property of common steel. All of them are very familiar with every manufacturing process and procedure as well as mould components standards. We bring breadth and depth of experience across automotive, industrial, and high-tech components manufacture. Our tooling factory has all the necessary equipment required in the injection mould manufacturing process including 900 Ton, 430 Ton and 250 Ton machines from Negri Bossi. Our talented technicians and specialized machinery ensures the part’s seamless transition through mould-making into production moulding. For an added level of assurance, we also specifically assign our heads for each project to supervise every detail of the product’s progression through the entire process. Such allocated workforce will be around to address any issues and clear all doubts. If you have any enquiries or need any other detail with respect to injection moulding, please contact us, and we sure will help you out.